We are happy to annouce Incitec Pivot Limited has been selected for Bloomberg's 2019 Gender-Equality Index. Incitec Pivot Limited announced that it is one of 230 companies selected for the 2019 Bloomberg Gender-Equality Index (GEI) which distinguishes companies committed to transparency in gender reporting and advancing women’s equality. 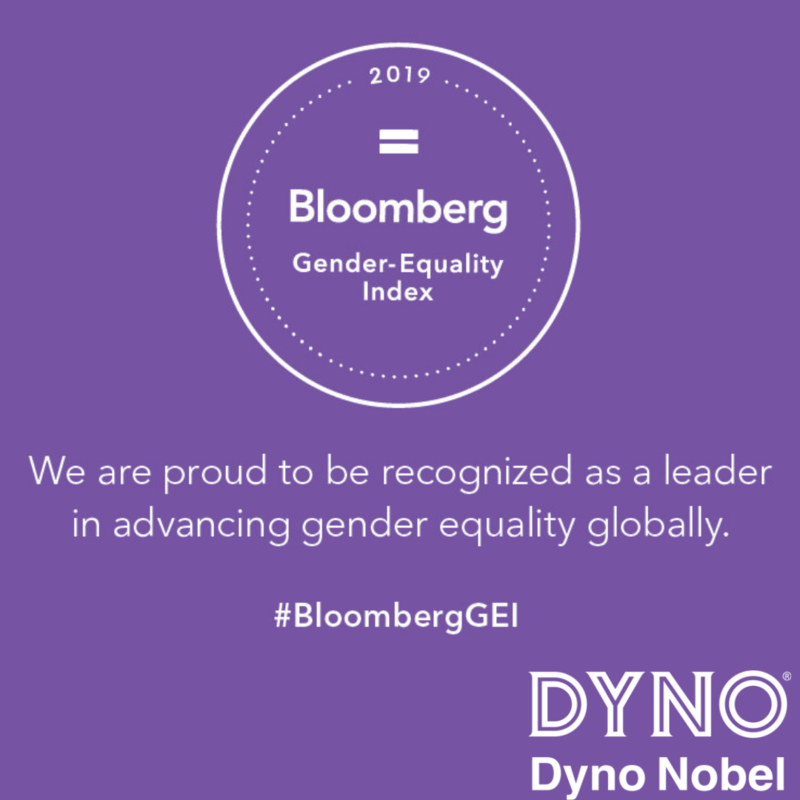 “Dyno Nobel is proud to represent Incitec Pivot Limited in the Americas region and honored to be listed among the 230 companies considered global leaders in the advancement of women. Our people are the driving force behind our Company’s success and we continue in our commitment to advance efforts to create a workplace that is inclusive to all, that reflects the communities in which we operate and the customers we serve.” Nick Stratford – President, Dyno Nobel Americas. Jeanne Johns, IPL Managing Director & CEO said “I am a great believer in having the right people in the right roles, regardless of gender or cultural background. Earning our place on the Bloomberg’s 2019 Gender Equality Index is testament of our Company Values and One IPL collaborative agenda”.